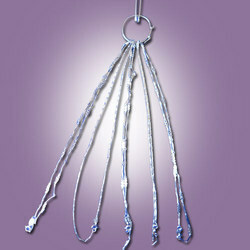 We are involved in manufacturing, supplying and exporting a wide array of 925 Sterling Silver Ladies Chains. These are appreciated for trendy color combination, elegant and stylish designs and patterns and long lasting performance. We also offer our clients with customized solutions as per their specifications. Our 925 Sterling Italian Silver Chains continue to be an affordable and special way to celebrate the hobbies and styles of those you know. Accented with reversed debossed "C" logo, the high quality metal fixture makes a style statement. We are instrumental in offering our clients with 925 Sterling Silver Mens Chains that are flawlessly finished to perfection to meet the aesthetic tastes of our clients. 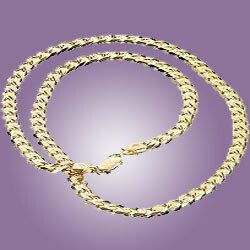 These gents chains exhibit creativity and fine quality, and are offered to our clients in various thicknesses, sizes, patterns and many other specifications. 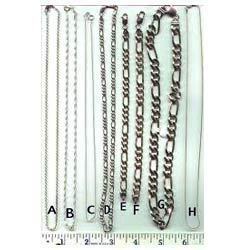 Looking for 925 Silver Chains. ?